Featured in our 2019 Sin City Classic issue! Soccer (aka football) has always been a staple of the Sin City Classic (SCC). In addition to softball, it has regularly been one of the most popular sports and drawn a large number of participants at the world’s largest annual LGBTQ multi-sport festival. 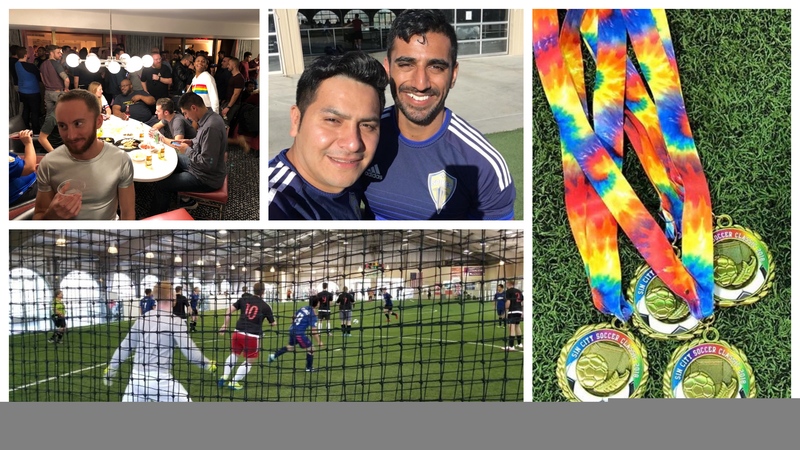 But this year soccer is gaining a big spotlight at the SCC – it is hosting the 2019 International Gay and Lesbian Football Association’s (IGLFA) Indoor World Championship. The IGLFA has had an international representation since its inaugural tournament at the SCC in 2013. 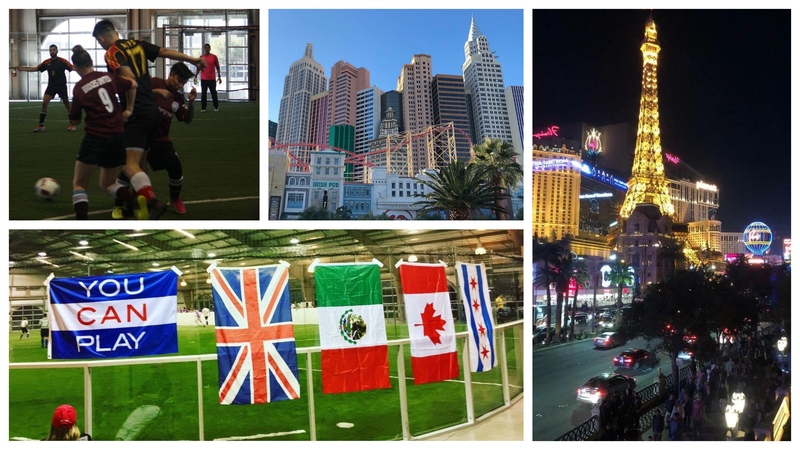 This year, however, according to Hans Furtado Laursen, tournament coordinator for the 2019 Indoor World Championships, the organization is fielding teams from the U.S., Canada, Mexico, England and Brazil. The SCC is the perfect event and location to host the IGLFA Indoor World Championship. 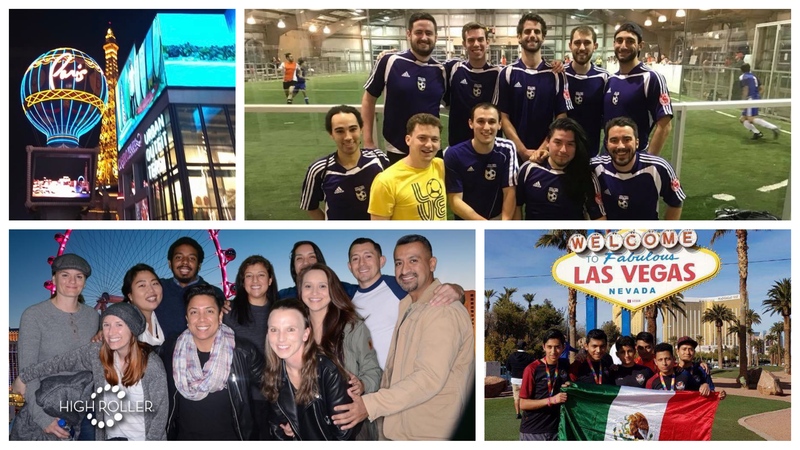 Having grown yearly over the last seven years, the SCC is now considered one of the premier annual indoor soccer tournaments sanctioned and sponsored by the IGLFA. Said Furtado Laursen, “This year we will have players traveling from near and far, reaching across the pond … to include a European team for the first time, Stonewall FC from London. In addition to the 20 teams from every part of the United States, we will have players from Columbia, El Salvador, Brazil, two teams from Canada, and a record seven teams from Mexico!” The tournament is run according to IGFLA rules and regulations that also include the presence of teams at the Awards Ceremony from the tournament in which they participated as a matter of sportsmanship. The all-gender tournament is open to all who want to play and is taking place at the Big-League Dreams Field House in Las Vegas. Seven teams are competing in the Friday 5×5 Women’s tournament and 24 teams are competing in the Saturday and Sunday all-gender 7v7 Tournament. With the round robin format, each team will play at least three-to-four games in the Women’s tournament and five games in the all gender tournament. IGFLA, which hosted its 2018 Indoor World Championship at the 2018 Gay Games in Paris, is on track for the 2020 World Championship although a host city has yet to be selected. But the biggest recent news for IGFLA is that Ryan Atkin, the first openly gay male referee in professional football (soccer) to come out while still active in the game, has been appointed to the IGFLA Board and now is the new European Referee Director. Gus Penaranda, IGLFA president said that. 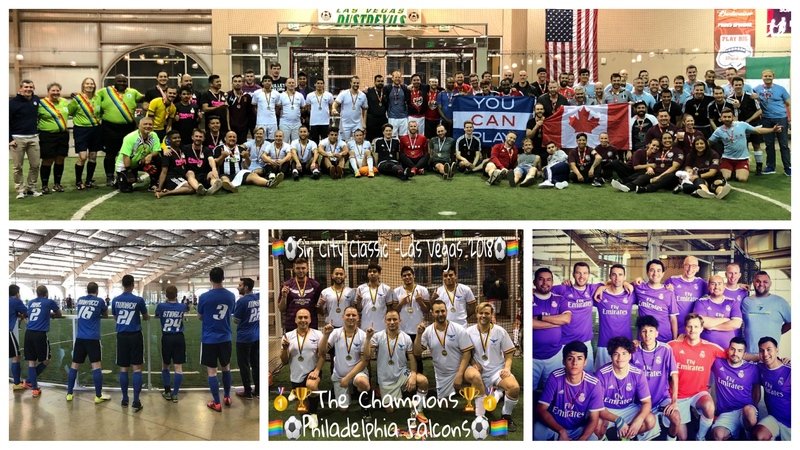 “Ryan’s story has been spreading in the soccer community and has given continued hope to many who even today struggle with their identity, especially for those who play sports.” He continued to say that as a global volunteer organization, IGLFA has always aimed at finding individuals from around the world who want to help the LGBTQ community, noting that for IGFLA, the common ground is the game of soccer or sports in general. Atkin has a great reputation as a referee in gay global tournaments such as the Gay Games or the Unity Cup but both Penaranda and Furtado Laursen emphasized that it is his knowledge of the game and the professionalism he brings to the game of soccer that has earned him the respect of players and referees alike. Working side-by-side with referees who have been doing the job for decades, Atkin has established himself as a clear role model for those who are just finding their way in gay sports competitions and to his generation in general. As a new member of the IGLFA Board of Directors, Ryan Atkin is now part of the team that will take the organization forward so future generations can have a safe place to be who they are and to play the sport they love.